Initial troop drawdowns in Afghanistan this July will probably include the withdrawal of combat troops, the commander of international and US forces in Afghanistan told house lawmakers on Wednesday. 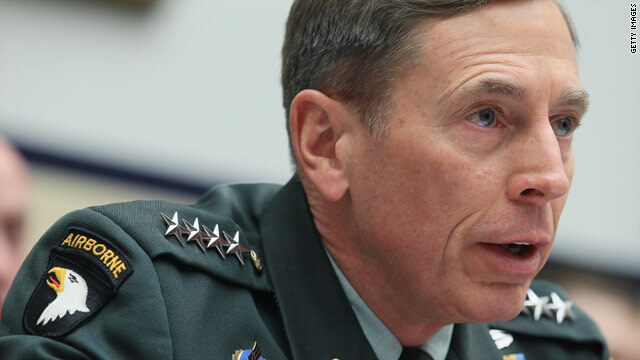 Speaking to lawmakers at a House Armed Services Committee about the progress of the war in Afghanistan, Petraeus said he is "still formulating the options that he will provide to the president", but believes that combat forces will be included in that recommendation. You have to hear this salute to Army Specialist Whittington, on his 5th deployment, currently serving in Afghanistan. A CIA contractor who killed two Pakistani men was released from jail Wednesday after $1.4 million in compensation was paid to their families, according to a lawyer closely connected to the case . Raymond Davis - who has now left Pakistan, according to a U.S. official not authorized to speak for attribution - had been in jail since January in a case that has strained the always tense relationship between the United States and Pakistan. The families of two men he killed forgave him, a government official said Wednesday. Davis' immediate destination after being released was unclear.